MANILA, Philippines - The Marites Allen Annual Feng Shui Convention is a veritable source of auspicious ideas to meet each Chinese New Year with confidence. First held in 2006, The 11th staging of the event was held recently at The Marco Polo Hotel to usher in the Year of the Fire Monkey, which starts on February 8, 2016. Here’s a mix of tested and innovative ways gleaned from the event on how to attract good fortune. Eleven represents the number of years that Marites — the first Filipina feng shui master accredited to date by the International Feng Shui Association (IFSA) — has been sharing prosperity tips to avid feng shui followers. 1. Know the good and bad sectors for the year. Each year, the so-called Flying Stars or energies fly into different directions bringing lucky and unlucky prospects wherever they have landed. It helps to determine those locations and to place the appropriate enhancers to boost good energies. It is just as important to install the recommended cures to deflect the negative ones. 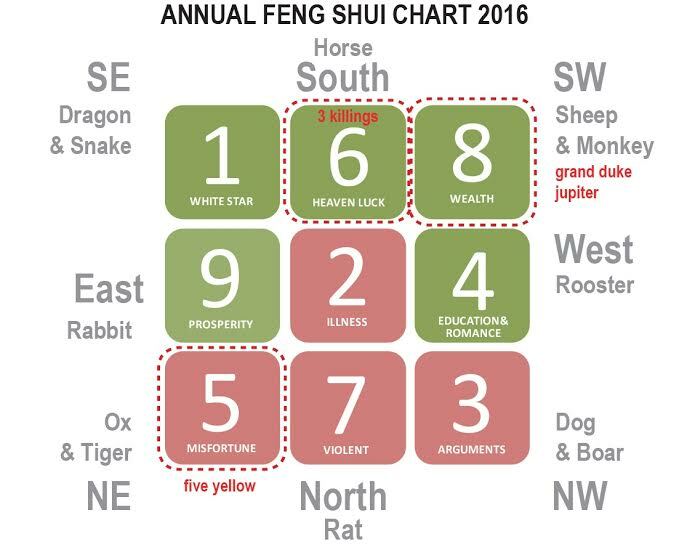 The Annual Feng Shui Chart 2016: Numbers 1, 6, 8, 9, and 4 represent the lucky sectors that must be activated with the proper enhancers. Numbers 2, 5, 7, and 3 are the unlucky sectors that must be weakened by suggested cures. 2. Understand the five feng shui elements. Many are familiar with those five elements—Water, Wood, Earth, Metal, and Fire. A better understanding of how they relate with each other and knowing that each element represents specific sectors and colors may increase one’s chances of enjoying better feng shui. 3. Look good in auspicious clothes. Depending on your aspirations, a unique brand of fashionable wear can help you achieve your specific goals. The recent collaboration between Frigga Charmed Life and award-winning designer Frederick Peralta has produced a classic and comfy fashion collection with exciting combinations of colors, prints, and designs that are meant to boost opportunities for many aspects of your life. The combination of lush florals and the auspicious coins symbol helps attract money luck. 4. Complete your lucky look with the right accessories. Attract good prospects and be protected from afflicted energies using scarves, hankies, wallets, bags, belts and jewelry designed with auspicious symbols. 5. Furnish your home with unique, luck-enhancing decors. If you find some feng shui charms too Chinesey, you will love the new line of very functional and stylish Frigga home accessories. The limited-edition displays include auspicious cushions, decorative mirrors, paintings, mantra stickers, and other out-of-the-box ideas. 6. Spray on some Frigga scents. Yes, now you can also smell lucky. The available sets of eau de toilette, room fragrances and fragrance diffusers will help enhance Prosperity, Love, Beauty, Harmony, Longevity, Happiness, Wealth and Good Fortune. 7. Carry luck with you when you travel. 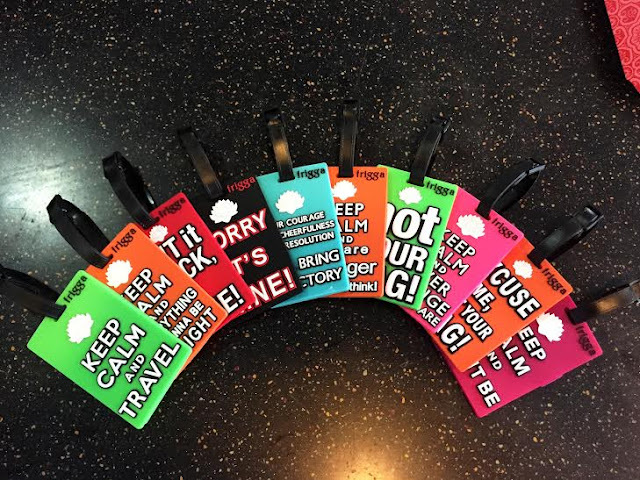 Whether you travel for business or pleasure, use these colorful luggage tags to help you identify your bags easily. They are designed with different luck symbols to protect you on your trips. 8. Know your allies and friends. Destiny is not always kind, and if you’re not blessed with positive energies on a specific year, you may “borrow” good luck from your astrological allies. They will help you survive a bad period. Aside from your Affinity Triangle, there is another grouping called the “seasonal combinations” that could prove helpful. 9. Equip yourself with handy feng shui references. 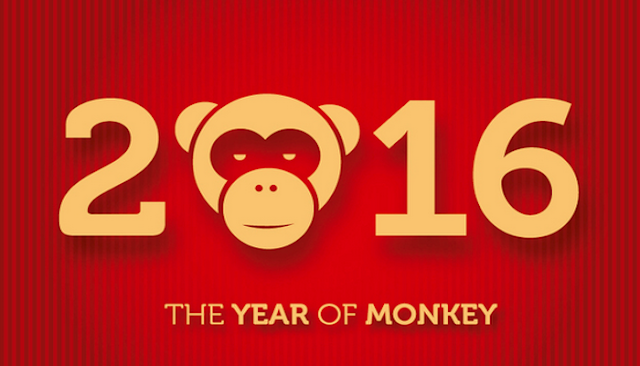 Make sure you have your 2016 Feng Shui Almanac and Feng Shui Planner to guide you in choosing lucky days and hours for important activities. Your personal horoscope book provides helpful indications in many aspects of your life, including wealth, career, romance, and health. It also has valuable suggestions every month on what enhancers to place in specific sectors of the home and recommended fashion wear to attract positive energies. 10. Have your destiny chart plotted. This is the way to go if you want a truly personalized reading based on your birth date and hour, which sets you apart from others who may be born under the same animal sign. It uses the Four Pillars Chart of destiny forecasting that includes all elements at play for you as a unique individual. Please call 0920-9509390 for personal consultations. 11. Be the reason to others to feel lucky. This suggestion works all the time and never loses its charm. The universe keeps score and the things we do have a way of coming back to us in unexpected ways. Do good to others every chance you can, and let karma work wonders in your life.